Of the various methods and standards used for testing of valves for low fugitive emission application, which are most appropriate for your valves? Is the decision based on the valve type or design? 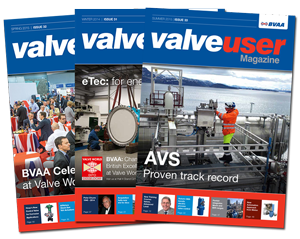 Is it based on the geographic market the valves are being sold into? What laws and leak detection and repair programs are being enforced that determine the method and standards? Is it based on application? With ISO 15848-1, which of the various tightness, endurance, and tightness classes should be applied? The International Organization for Standardization (ISO) has developed standard ISO 15848-1 for Type Testing which has several different performance classes to choose from for evaluation, and standard ISO 15848-2 for Production Testing. To obtain a certificate of compliance with these standards, the valve manufacturer must complete and pass prototype testing, typically performed by an established 3rd-party testing facility. 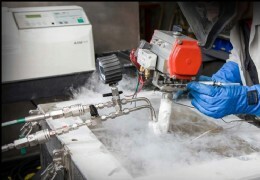 A valve manufacturer must choose from different testing procedures, acceptance criteria, and test variables such as media, temperature, numbers of cycles, and numbers of thermal cycles. There are different methods for acquiring leakage rate data such as sniffing and bagging methods. The American Petroleum Institute (API) has standards for different types of valves, such as API 624 for Rising Stem Valves and API 641 Quarter-Turn Valves. API 622 provides test procedures and criteria for different types of packing and is applicable to graphitic packing used in API 624 and API 641 qualified valves. ISO 15848-1: 2015 (Industrial valves � Measurement, test and qualification procedures for fugitive emissions � Part 1: Classification system and qualification procedures for type testing of valves) includes testing procedures for evaluation of external leakage of valve stem seals and body joints of isolating valves and control valves. It requires 97% purity helium as the test media, except that an alternate method is specified that permits the use of methane. Two specific methods are noted, one called the �global� method using bagging and pulling a vacuum or another local leakage measurement technique (sniffing). The performance class is defined by a combination of criteria for �tightness�, �endurance� and �temperature� classifications. Acceptance criteria depends on the tightness classification and the media and is different for body joints than for stem packing. When the test fluid is helium, the tightness classes are identified as Class AH, Class BH, and Class CH, and when the test fluid is methane, the tightness classes are identified as Class AM, Class BM, and Class CM. A valve manufacturer may perform testing for a specific tightness class, endurance class (mechanical cycles and thermal cycles), and for a test temperature. This is a comprehensive test in which the various class designations are chosen based on both the valve type and the intended application. The downside is that it is not truly a uniform procedure for evaluation of emission performance, which makes it challenging for end users to compare overall performance from one valve manufacturer to another valve manufacturer. Different manufactures may decide on different performance classifications, and thus, end users must evaluate the test results for the specific need or application. ISO 15848-1: 2015 has been approved by CEN as EN ISO 15848-1: 2015 with no modifications. In 2017, an amendment was made to ISO 15848-1: 2015 (called A1: 2017), which clarifies temperature classifications and qualification rules. API has led standard development efforts to comply with the US Clean Air Act using elements of EPA Method 21. These include API 622 (Type Testing of Process Valve Packing for Fugitive Emissions, Second Edition). Initially developed in 2006, it includes fixture testing for emissions with 1510 mechanical cycles and 5 thermal cycles, corrosion tests, as well as evaluation of density and other packing material composition and properties. The Third Edition includes reduction of acceptance criteria to 100 ppmv maximum. API 624 (Type Testing of Rising Stem Valves Equipped with Graphite Packing for Fugitive Emissions, First Edition, 2014) is currently applied to �rising and rising/rotating stem� valves. Typical valve designs that fall under the scope of API 624 are gate, globe, and rising-stem ball valves. API 624 is in the process of being revised by the API task group. Currently, the standard requires testing to 310 mechanical cycles with 3 thermal cycles with acceptance criteria of 100 ppmv maximum with no packing adjustments. The thermal cycle is from ambient to 260�C. Leakage from body-bonnet connections are included within the scope. Graphitic stem packing for API 624 certified valves must comply with API 622. API 641 (Type Testing of Quarter-turn Valves for Fugitive Emissions, 1st Edition) was published in late 2016 and is applicable to ball, butterfly and plug type valves. This standard covers ASME B16.34 valves up to and including 24 NPS and Class 1500. The testing requires methane testing based on elements of EPA Method 21, and requires 610 mechanical cycles and 3 thermal cycles, with both static and dynamic leakage measurements. Valve qualification groups are defined based on variables of the valve�s elevated temperature, pressure at elevated temperature, and pressure at ambient temperature. Maximum test temperature is 260�C. Acceptance criteria is 100 ppmv maximum with no packing adjustments. 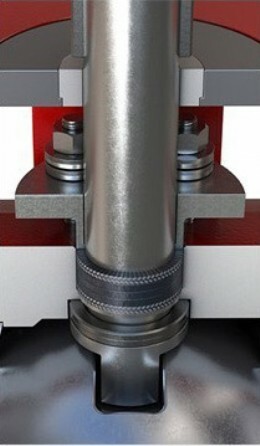 Leakage from body-bonnet joints are included within the scope. Graphitic stem packing for API 624 certified valves must comply with API 622. Manufacturers must decide what performance classifications of ISO 15848-1 to apply. It depends on the valve type and design features, but most importantly the intended application of the valve. Since the performance classifications are based on shutoff, endurance, and temperature, these three factors must be considered. If the primary applications include processes with lethal gases, then a tightness Class AH should be required. If the primary application is process isolation, or infrequent operation (such as once per month), then endurance Class C01 should be applied. But if the valve may be used in higher cycle applications, then CO2 and CO3 should be applied. If a valve is used in a low or high temperature application, or even a temperature cyclic application, then a choice must be made between t-196�C, t-46�C, t-29�C, tRT, t200�C, t400�C. ISO 15848-1 also includes multiple endurance classifications for control valves, with CC1 (20,000 cycles with 2 thermal cycles, CC2 and CC3.